Kreis Enderle Hudgins & Borsos, P.C. 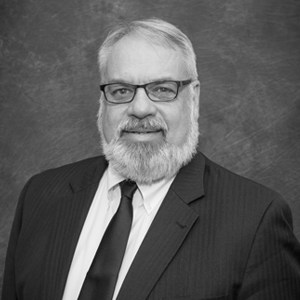 congratulates Thomas King on his recent oral arguments in support of a county’s right to site county buildings, in the Michigan Supreme Court. During the past year, Mr. King’s representation of governmental entities has taken him to numerous trial courts, including the Court of Claims and Michigan Tax Tribunal, and a host of appellate courts, including the Michigan Court of Appeals, the Michigan Supreme Court, the United States District Court for the Western District of Michigan, the United States Court of Appeals for the Sixth Circuit, and even to the Supreme Court of the United States. His depth of experience in representing governmental clients before a myriad of courts has been an asset to our firm and to our clients. March 7, 2018 for Coloma Charter Township v. Berrien County, No. 154556-7. Tom King is a shareholder in the firm’s Municipal, Planning & Zoning, Business Law, Collections, and Real Estate practices. He represents governmental units and property owners and developers in zoning and land use matters, general governmental matters, intergovernmental agreements, municipal litigation, real and personal property tax matters, freedom of information act and open meeting matters, initiative and referendum, annexation and eminent domain matters, and other governmental issues.